A new building planned by Mass General will help the hospital meet growing demand for care and services, while supporting and enhancing the local community. 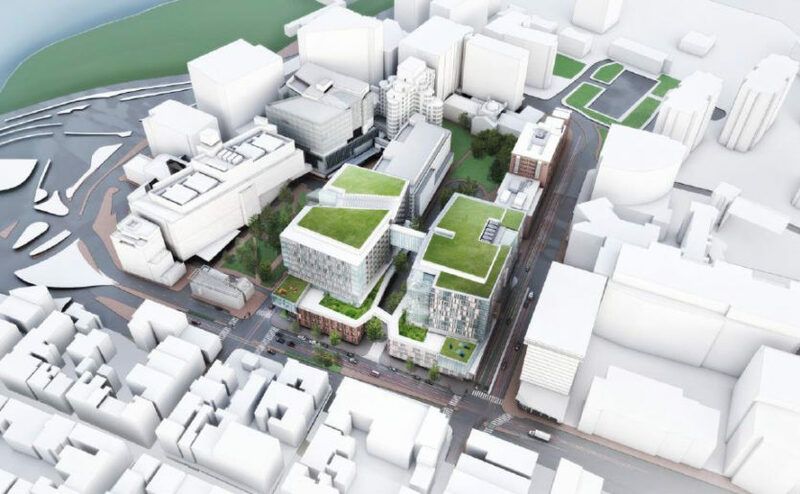 Massachusetts General Hospital has filed a letter of intent with the city of Boston to construct a new state-of-the-art building, featuring 12 levels of clinical inpatient and outpatient space, support services and six levels of underground parking. This project will help meet the growing demands for quality health care and services, address the Mass Generals capacity challenges, and support and enhance the local community. The proposed building will be situated along Cambridge Street, North Grove Street, Blossom Street and Parkman Street. Preliminary plans call for cancer and heart to be the major centers of excellence in the new facility. The relocation of several large services will free up space in existing buildings, creating an opportunity to expand other programs, such as increasing beds for mental health services and expanding substance use disorder programs. As part of the project, the Parkman Garage, Lawrence House, Ruth Sleeper Hall, the West End House, the Professional Office Building and an unoccupied structure on North Anderson Street will be removed. In addition to the clinical building, Mass General plans to construct a seven-story campus services facility on Blossom Street, helping to strengthen and modernize its utilities. Inpatient beds with a focus on cancer and cardiac care, as well as beds for general medicine, thoracic surgery and vascular surgery. Spaces for dietary, pharmacy and clinical support services, a café and retail space on the street front. A campus services facility to replace the current service building at the corner of Blossom and Parkman streets. Six levels of underground parking with more than 1,000 parking spaces, largely replacing the Parkman Garage’s current spaces. This story was first published by MGH Hotline.